Is graphic design just trendy and frivolous? Is investing in branded graphics a waste of time and money? As we’ve discussed in our past myths, good marketing for small businesses and nonprofits isn’t just a luxury; it’s a necessity. How you present your organization, whether through online presence or in-store display, will determine the connection you have with your customers or clients. In fact, your organization’s user-experience will impact whether or not your target audience trusts your product or service, and professional branding is a determining factor in that experience. Let’s imagine this scenario for a moment. You enter a bakery and are presented with two cakes. Both are made with equal quality of ingredients and contain comparable deliciousness, but you don’t know that yet. At first sight, the cakes are completely opposite. The first has frosting dripping off the side and tilts awkwardly (but not in the positive, Leaning Tower of Pisa kind of way). It has no designs or details- just a plain, frosted cake with minimal color and seemingly less love. The presentation is messy, and the quality seems to be poor (even if it’s not). The second cake is elegantly designed, the frosting whipped carefully around the edges with light sprinkles of color. The shape of the cake is carved with intention and delicate dollops of whipped cream make their bed on the top of the creation. Based on first impressions, which cake would you choose to simply try first? Would you want to give the dripping, tilting cake a taste, or would you gravitate toward the cake that seems most intentionally crafted? Our guess is that presentation of the cake, even when the taste is really what matters, will impact your decision to sample the cake at all. 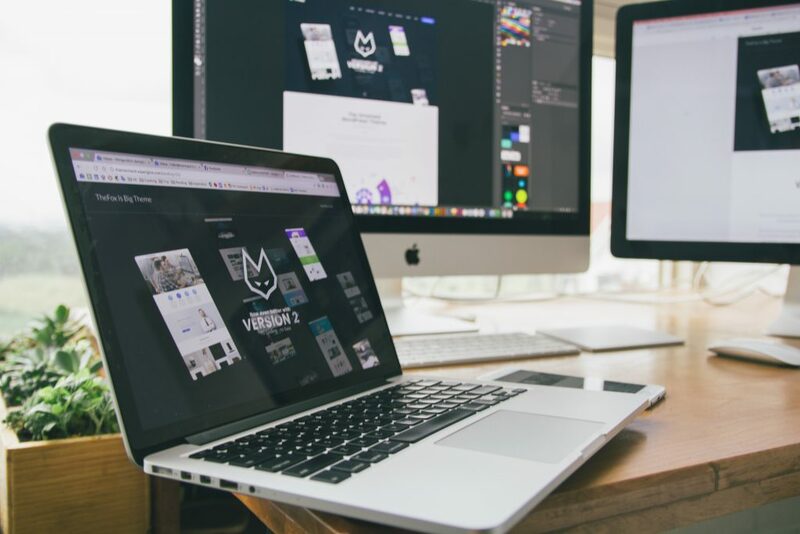 In the same way, the quality of the graphic design invested into your branded marketing could make or break that first encounter with a customer or client. The first impression of professionalism will matter. Professional graphic design is associated with legitimacy. While your quality of product or service shouldn’t be neglected for the sake of flashy advertising, there must be equal effort invested into both the quality of your product and the presentation of your product. If either are missing, your potential customers or clients may write you off as unimpressive. It can be as simple as a professional logo or as intricate as a thoughtfully designed print advertising campaign. Or maybe it’s a consistent, cleanly laid out marketing email or a specially designed series of social media posts. Every organization has different needs depending on who you are and what you offer, but all have this in common: quality and intentional branding is key. Visual branding displays your organization’s character. Your graphic design can say a lot about you as a small business or nonprofit – your mission, your values, your methods and your approach. To customers, your visual branding (or lack thereof) is how you define yourself whether you intend for that or not. Your color schemes share your organization’s “mood.” Your designs express your “personality.” Your incorporated photography displays what makes your small business tick – from the people to the product and everything in between. Everything says something. All of the marketing you do (or don’t do) sends a message about who you are. We believe that your small business or nonprofit is a valuable contributor to our community, and we want to help you thrive. If you’re looking to brand your organization with intention and purpose, we would love to help! Contact us today, or check out some of our services and work. message – be intentional about choosing your branding. Be purposeful with the marketing mediums through which you choose to share your message. Invest time and money into a website that gets you noticed in search engines and helps customers get to know you. Utilize social media platforms to represent your organization for specific audiences and to help you network with those who would benefit from what you offer. Trust professional photographers and videographers to artistically capture your small business or nonprofit with quality visual media. 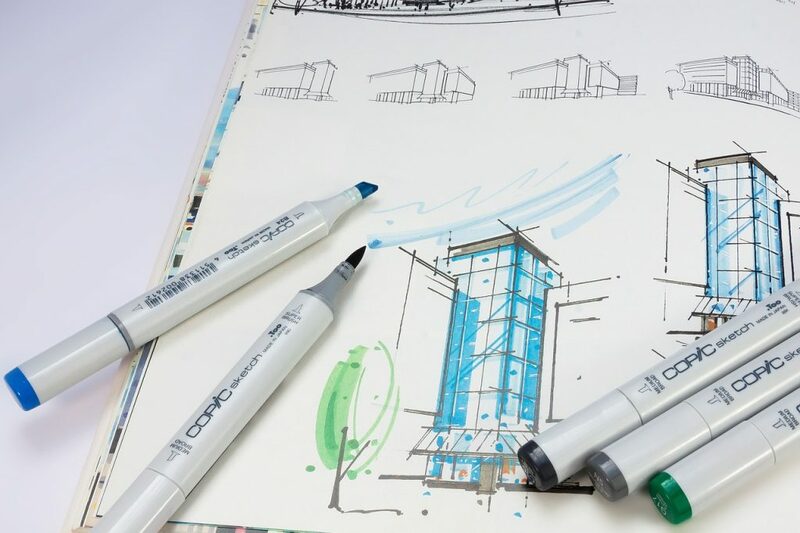 Devote effort into your first impressions – place value on the graphic design you produce. 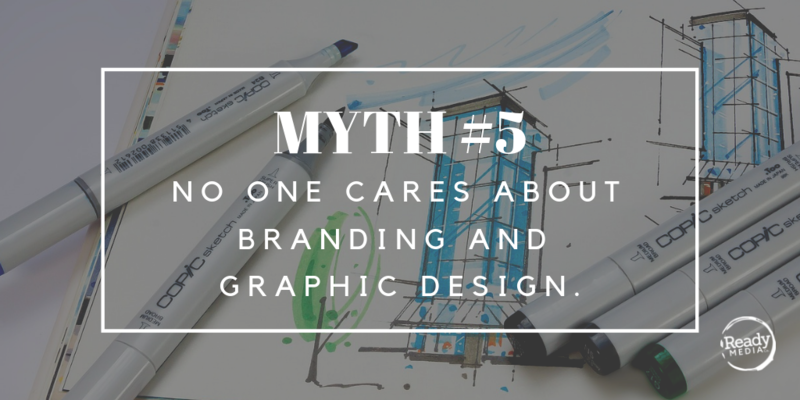 Thank you for tuning into our Five Marketing Myths post series! We hope you found these tips to be helpful to your organization. If you missed the first four Marketing Myths, you can check them out here! Are you looking for more information on Ready Media can help provide professional marketing to your organization? Feel free to contact us today!